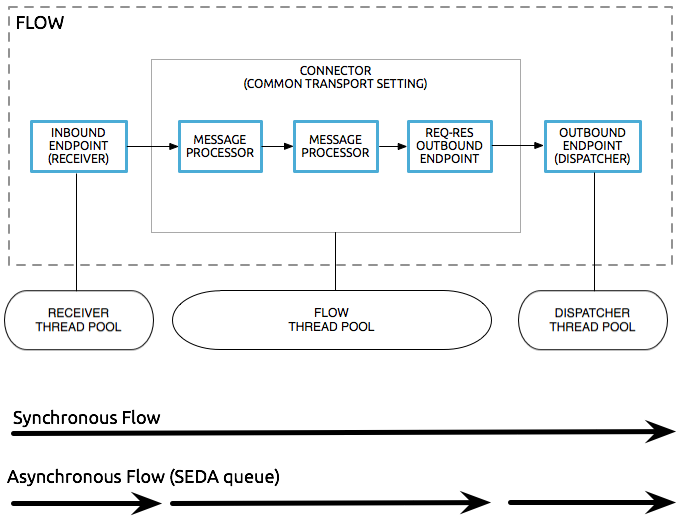 There is a page in the Mulesoft documentation regarding the use of threads and thread pools in an Anypoint application. That documentation is here. <queued-asynchronous-processing-strategy doc:name="Queued Asynchronous Processing Strategy"